Started in the early 2000s as a community on the LiveJournal blogging platform, 500px has become one of the most popular places in the internet to store professional and amateur photos, with more than 50 million images in its archives. Its history, however, has been a bumpy ride, which ended for its co-founder Oleg Gutsol last year, with him being ousted from the CEO role and the company itself. I met Gutsol at the TNW Conference Europe in Amsterdam to see what lessons the entrepreneur has learned and what new venture he’s up to these days. From the talk given by Gutsol at the TNW Conference, it was easy to see that the whole story of 500px has been about its founders overcoming various obstacles, from lack of funding to lack of motivation. Working on the website in Toronto, Canada, Gutsol together with the second co-founder, Evgeny Tchebotarev, tried hard to attract local investors but never succeeded. Even now, after two funding rounds of more than $9 million from VCs including Andreessen Horowitz, 500px has only one Canadian investor: its own VP business development Dustin Plett. Another issue was the team, or rather finding the right cultural fit. 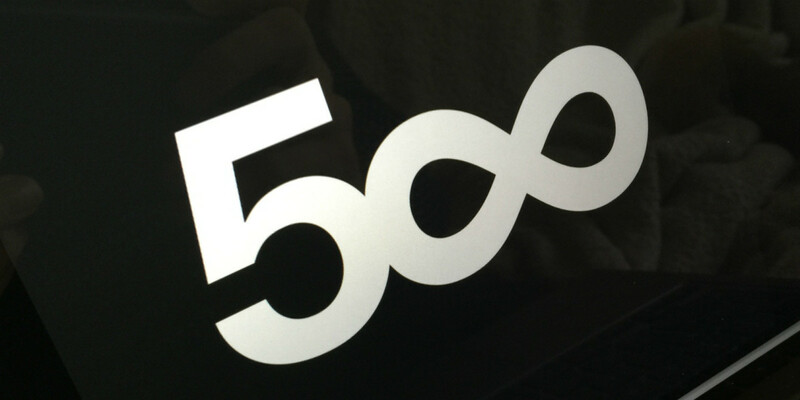 The hiring issues at 500px were further amplified by the rapid growth of the company. Some consequences of cutting corners in hiring went farther than just not recognizing your colleagues. “Once [Evgeny and I] came to the office in Toronto to work on Sunday, and found it half-destroyed by a party we had no idea about. We usually had some wine and cheese brainstorming sessions on Fridays, and it seemed like some people decided to stay in the office afterwards,” Gutsol recalls. But the most devastating result of getting wrong people onboard came for Gutsol in March 2014, when the company’s board decided to remove him from the CEO position. The person who, as Gutsol puts it, “worked with the board to step into the CEO role” was Andy Yang, then-COO of 500px. “[Hiring Yang] was a mistake. I understood it when there was still time to rectify it but didn’t do anything,” Gutsol says. “When you’re growing rapidly, the stress level piles up and you begin skipping things. Oleg is a tremendously talented individual and his contributions as co-founder of 500px were significant and remain valuable to this day. Regarding his departure, it was a time when many changes were made to poise the company and product for high growth. It’s not beneficial to rehash that time. 500px today is doing great – we are on pace to have 10x revenue growth, continuing to innovate on our core products, and have grown to over 50 team members who are focused on enabling and rewarding visual creativity for our amazing community. I first met Oleg when I first moved to Canada in 2010 – I was a VC and covered 500px as an investment. I was impressed with him and 500px, and invited him to be a mentor at Extreme Startups, an accelerator I ran. After I moved on from the accelerator, I found myself looking for roles and reached out to Oleg. I still consider Oleg a friend and wish him nothing but good things and success in his professional and personal endeavors. The second co-founder, Tchebotarev, took the board’s side in the conflict, even though it was Gutsol who convinced him not to leave the company a few years ago when he wanted to do so out of frustration. At the end of the day, such consensus on the board led to Gutsol’s departure from 500px in September 2014, when he was fired by the CEO Andy Yang. Seven months later, Gutsol still owns a minority stake in 500px but doesn’t participate in its operations in any way. But he’s not idle anymore either: together with his girlfriend and a few developers scattered across the world, the entrepreneur is working on a new project where he hopes to make use of lessons learned in the past 10 years. Predictably enough, most of those lessons are about hiring and human interaction. Another big idea is to build a distributed team — something that didn’t work for 500px. “We [at 500px] tried to work remotely from the very beginning,” Gutsol said. “But it didn’t work, and at some point we said, screw it, we won’t be trying to do this anymore. So we got everyone in one place in order to work efficiently. While not disclosing on the record the nature of his new venture, Gutsol told TNW that the project is set to launch soon — first in Canada and then internationally. On 26 May 2015, minor corrections were made to this article, adding a quote from Gutsol to clarify the situation around his removal from the position of CEO, and also to clarify the situation around Gutsol’s eventual departure from the company.